In the process of practicing and refreshing algorithms, I am looking at the Down to Zero II challenge (https://www.hackerrank.com/challenges/down-to-zero-ii) from HackerRank. After reading the challenge a few times and taking a look at some of the discussions I decided to do it in two steps. My first approach is what I would call brute force. It seems to work in some cases but as expected it does not provide an optimal solution in others. The second approach and what seems to be the right one will be discussed in the next post. That approach uses dynamic programming. The show method displays the stack of factors for each step. We start with N = 3 and given that N = a * b where a != 1 and b != 1 is not possible we decrement by one and set N to two. This is the first operation. We then repeat with N = 2 and decrement N = 1 while incrementing the count to two. Finally we test N = 1 and decrement N = 0 reaching the goal. The count is now set to three. A better answer is eight (not 10). The reason is quite obvious when you ran the code displaying the stack. I am including such runs because they contain too many lines. 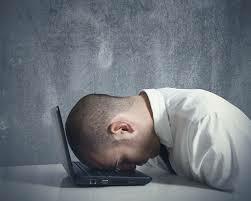 My purpose for solving challenges is to refresh and on some cases learn something new. 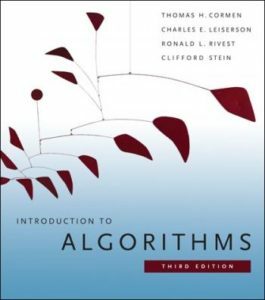 To refresh the approach that seems to be the one that will provide optimal solutions I referred to chapter 15 Dynamic Programming in Introduction to ALGORITHMS third edition by Thomas H. Cormen et al. As usual I would recommend to any individual involved in the SDLC to purchase the book, periodically read and experiment with some of the exercises. Remember the saying: We are what we repeatedly do. Excellence, then, is not an act, but a habit (Aristotle). The definition in the book makes a good point that “Programming” in Dynamic Programming refers to a tabular method, not writing computer code. Dynamic programming should be used when the subproblems share subsubproblems. The reduce() method is called multiple times with repeated values for 2, 3, 4, 5, … What a waste of resources. In this case the software produced an optimal solution, but as one can check, the algorithm does not always produce an optimal solution. If you have comments or questions regarding this or any other blog post, please send me an email message. I will keep your name in confidence unless you explicitly allow me to disclose it.